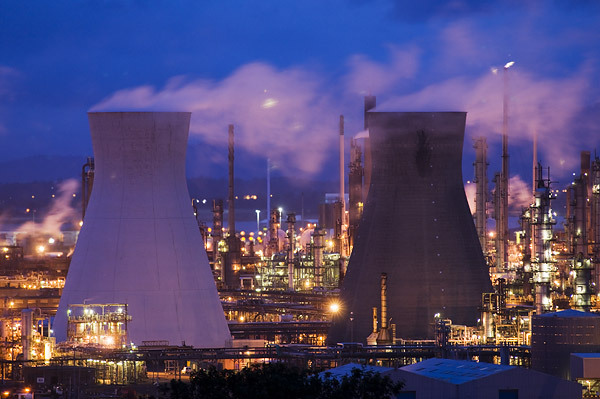 The Grangemouth Oil Refinery is a sprawling mass of cooling towers, chimneys and burning flares. I made a brief visit this evening for some photography of the site but had to battle with the weather. A fierce wind meant that even on a hefty tripod my camera was prone to shake, producing less than sharp images. This was the best of a bad bunch. Better luck next time as they say.